Orson Welles investigates the nature of “truth” in art via the stories of famed forger Elmyr de Hory and his fraudulent biographer, Clifford Irving. 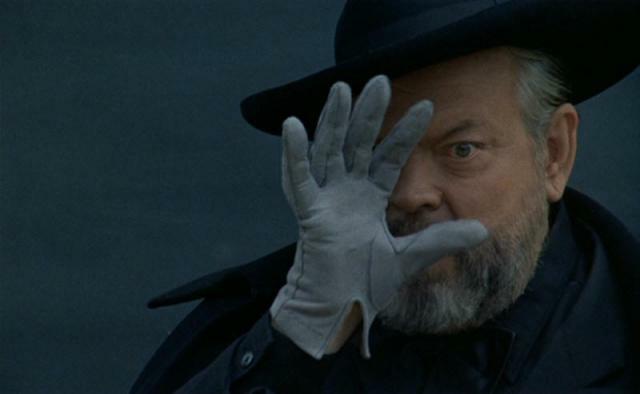 This fascinating meditation on the nature of artistic veracity is a fitting capstone to Orson Welles’ lengthy yet infamously helter-skelter career. 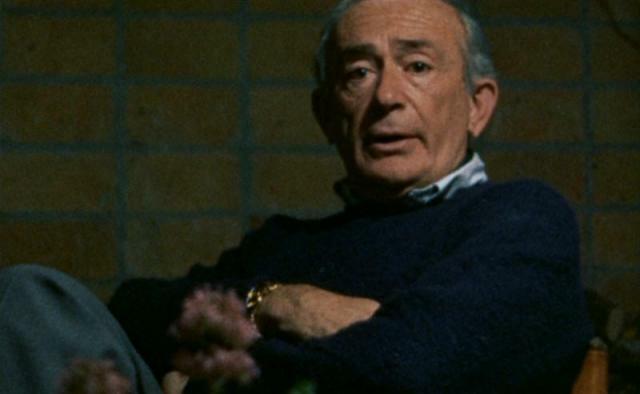 Ostensibly a documentary about one of the most famous forgers in the art world (Hungarian expatriate Elmyr de Hory) being interviewed by his biographer, Clifford Irving, Welles uses the fortuitous revelation of Irving’s fraudulent book about Howard Hughes (nicely told, btw, in the 2006 film The Hoax, starring Richard Gere as Irving) as an excuse to blast the notion of artistic “truth” completely out of the water. It’s no surprise Welles was fascinated by this material: a notorious trickster himself, he staged the most infamous hoax in American history back in 1938 by broadcasting H.G. Wells’ “War of the Worlds” over the radio as though a Martian invasion was really occurring (an event he alludes to in the film). Welles bookends his movie with a cinematic lust paean to his lover and final companion in life, Oja Kodar — first by showing clips from what may or may not be an authentic “Candid Camera”-like attempt to document men’s ogling reactions to Kodar as she sashays down the street in a form-fitting dress, and later by telling a just-so story about an encounter between Kodar’s grandfather (presumably an infamous Hungarian art forger in his own right) and a teed off Pablo Picasso. By the end of Welles’ trickily edited film, he has successfully convinced us that there may very well be no such thing as “truth” when it comes to storytelling — and that we should be duly forewarned. Knowing ex post facto that the footage Welles used of de Hory and Irving wasn’t his own (he “borrowed” it from the French filmmaker Francois Reichenbach) simply adds one more delicious dimension to this mind-bending cinematic essay. Yes, as an immensely creative swan song by a master director. I have a strange history with this doc. Over the years, I’ve seen it maybe four or five times. And, every single time, I’ve been so swept up and away throughout that I’m left blindsided by its last section completely, not understanding its nature and purpose until it’s exposed. Granted, there have been large spaces of time between each viewing. We can all forget a film’s particular details. But this is different, I think. This doc is so precise in what it is doing that its climactic trajectory only highlights its brilliance. And apparently, in a dual sense, I’m a sucker for it every time.